Horrific Facebook messages were sent to a 15-year-old boy’s ex after he was brutally shot and killed. 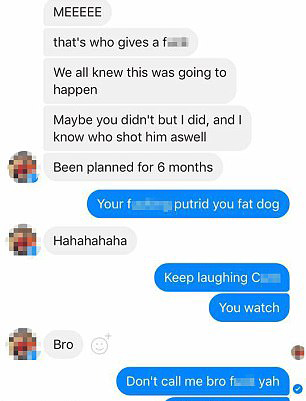 A chilling stream of messages were sent to the ex of a teenage boy, who was shot and killed in a suspected act of revenge in Sydney, Australia. 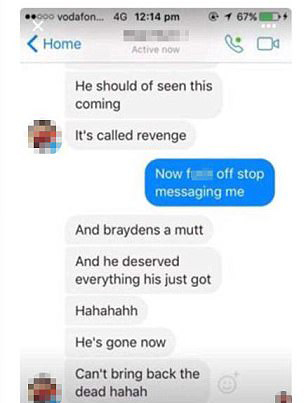 The haunting messages, which said his death was ‘revenge’ and he ‘should have seen this coming,’ were sent from a teenage girl’s account to Brayden Dillon’s ex. Before the messages were sent, the killer crept into Brayden’s bedroom, in Glenfield, Australia with a mask on before opening fire, The Sydney Herald reports. He should of seen this coming [sic]. It’s called revenge. And braydens a mutt. And he deserved everything his just got. Hahahahh. He’s gone now. Can’t bring back the dead hahah [sic]. We all knew this was going to happen. Maybe you didn’t but I did, and I know who shot him as well. Been planned for 6 months. I’m sorry for what was said and its 100% wrong, my Facebook’s hacked, honestly I don’t know when the f***s on my account but I changed my password [sic]. 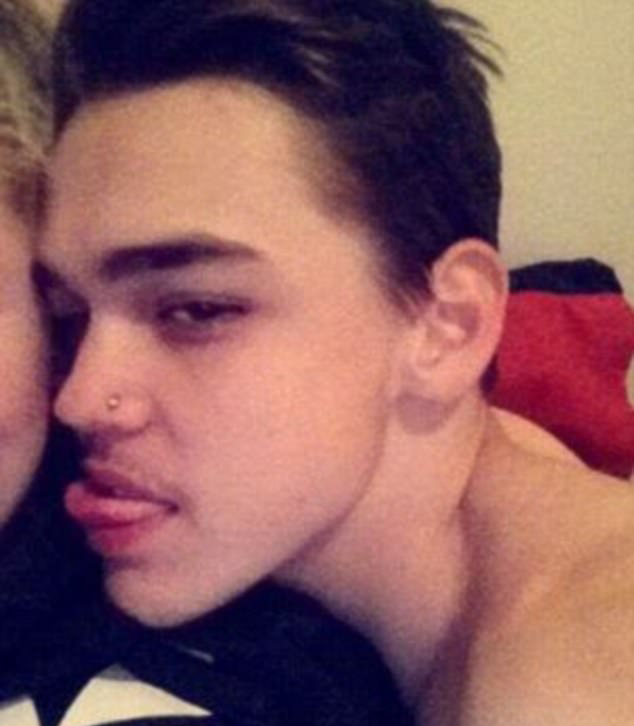 Brayden was shot at point-blank range, ‘execution style,’ as he lay in bed following a break in estimated at 6am. 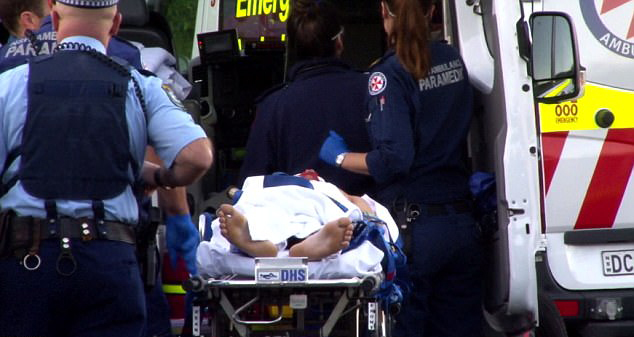 The killer then left out the back door, before his victim was taken to The children’s Hospital, Westmead, Sydney in an ‘extremely critical’ condition. Brayden died at 11am after emergency teams had battled to save him. At this stage, police are not commenting as to whether Brayden’s killing was a ‘revenge attack,’ or linked to others in the city. Detective Chief Inspector Mark Brett working on the case explained how someone ‘forced entry to the victim’s room,’ before he was brutally shot. The mother is extremely distressed. She’s at hospital with her son. A man between 18-20, last seen wearing grey jogging bottoms, a navy hoodie and white trainers is currently wanted by police as they believe he may be armed. RIP to Brayden and thoughts are with his friends and family at this awful time.